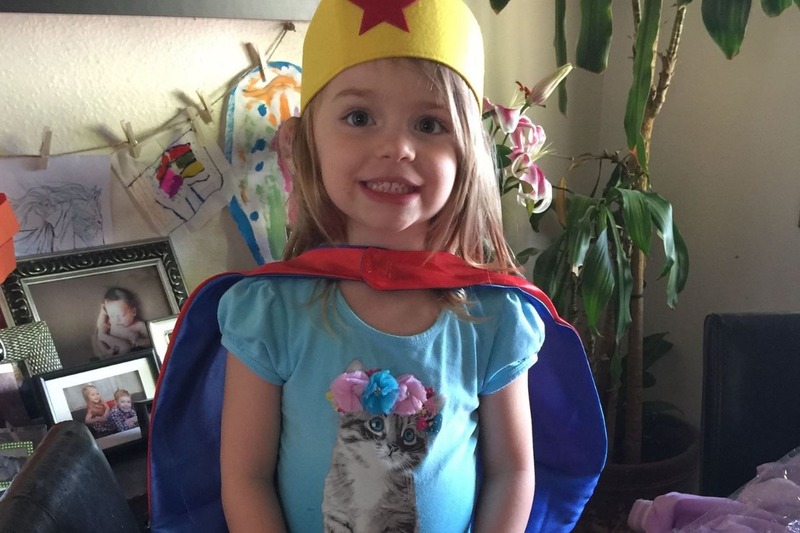 HUNTER ROSE JONES (5) is a beautiful fun loving girl (Daddy's little princess), who loves everyone she meets! 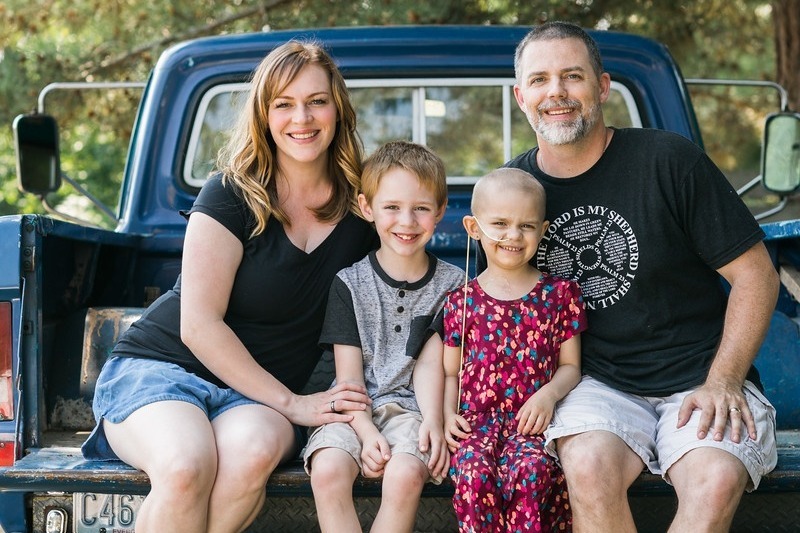 Her entire world changed when she was diagnosed with high risk stage 4 Neuroblastoma at 4 1/2 years old. We were very lucky in how it was discovered, as Hunter Rose showed no signs or symptoms. A tumor was found on her jaw during a routine dental visit. The dental x-ray showed a tiny solid mass tumor on her jaw. 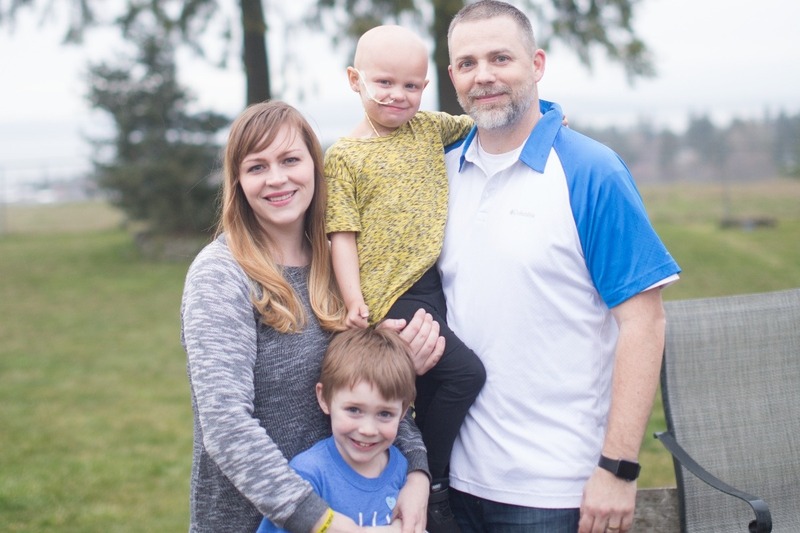 After many appointments with specialists, scans, bone marrow and tumor biopsies, Seattle Children's Hospital diagnosed her. It was a difficult day we won't ever forget . The cancer originated in her abdomen and then spread to her jaw and hip. Her treatment plan is very aggressive (5 cycles of chemo, surgery, 12 radiation treatments, 2 stem cell transplants, 6 months of immunotherapy, and a possible 12 month trial in NYC) with her main protocol treatment ending in January of 2019 and the possible trial lasting through March of 2020. The treatment is harsh and comes with risks of up to 90% that Hunter Rose will get a secondary disease such as Leukemia, kidney disease, liver disease, and/or heart disease, but is necessary due to how difficult it is to cure and keep the cancer from coming back. We ask that you please Pray for Hunter Rose! Cancer is awful, especially for a kid, but our God is AwesomER and we are believing for a miracle for our Hunter Rose! There are several ways you can help; supporting organizations that raise funds and awareness to help further research studies seeking a cure, and assisting families currently facing childhood cancer is a great way to help. 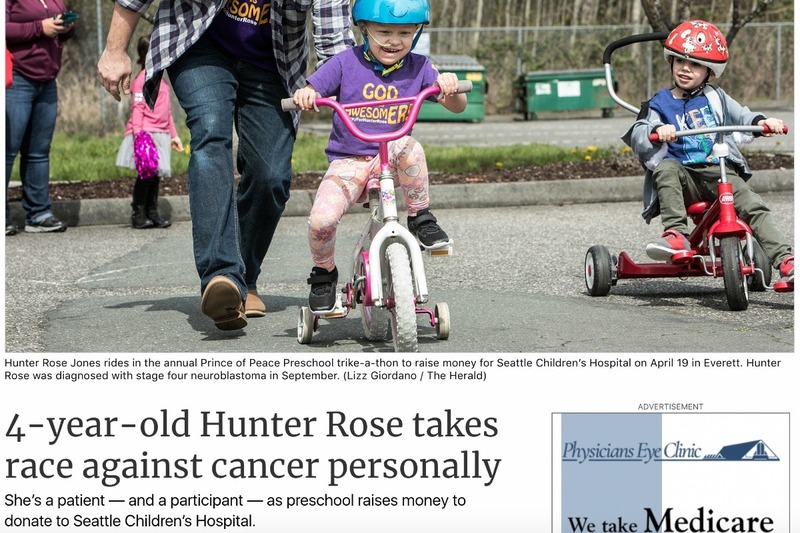 You can assist HUNTER ROSE by donating what you can here (no amount it too little), and by sharing her gofundme page, website and FaceBook pages listed below.